Under the United Nations (UN) Sendai Framework for Disaster Risk Reduction (2015–2030), 187 countries including Canada committed to increasing disaster resilience and reducing disaster losses by 2030. In order to track these commitments, the UN developed methodological guidance to establish baselines and assess progress across seven global targets for disaster risk reduction. This article describes research that employs the UN methodology to create baselines and targets for Canada, and extends the UN methodology further by developing a statistical modeling software application to project current trends to the year 2030. 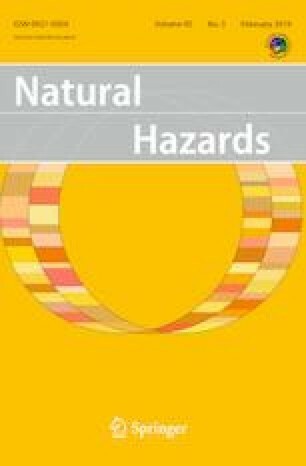 Based on the results, Canada would need to prevent 88 hazard events from becoming disasters; keep the disaster fatality rate near zero; avoid 4700 disaster-related injuries; prevent 556,000 people from being evacuated; avoid $92 billion in disaster losses; and protect significant sources of critical infrastructure from disruption. Three key limitations were identified in the research: First, there was a lack of consistent Canadian data across impact categories and over time; second, the historical record of disasters, particularly hydrometeorological disasters, may not be an adequate proxy for the future; and third there were also acute prediction limitations in the projection model which could not account for very frequent small-scale and very infrequent catastrophic-scale disaster events. Though the model projections suggest Canada may face a significant challenge in the years ahead, with a recently announced $180 billion infrastructure investment plan, there is an opportunity for Canada to better manage disaster risks, by not just building back better, but also building smart to start. In additional to his doctoral studies at Royal Roads University, through which this research was conducted, Matthew Godsoe is an employee of Public Safety Canada.